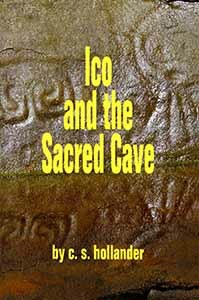 Ico and The Sacred Cave is an adventure story based on the history and culture of the Taino Indians. This historical fiction is the journey of a twelve year old Indian boy. Christopher Columbus first sailed to the Caribbean and America in 1492. He encountered the Taino, a peaceful people who lived on some of the Caribbean islands led by their chiefs (the caciques) and their shamans (the behiques). Some Taino called Christopher Columbus, Guamikeni, which means the lord of land and water. They referred to the Spanish coming to their shores as Guamikeni, "the covered ones" becaused they wore clothing.